Professional Leadership: Inspiring teachers and leaders are essential in a Jewish center of excellence; we must recruit, retain, and develop a first-rate Harvard Hillel team. Harvard Hillel is a vibrant home for Harvard's Jewish students, staff, and faculty, as well as a resource for the broader community. My family and I are honored to be part of it. The past years have seen an astonishing–and astonishingly successful–renaissance of Harvard Hillel. The energetic professional team is outstanding, and the results of their efforts are easily visible. As Rabbi Taphon taught, 'You are not required to finish the task, but neither are you free to neglect it.' We welcome, more than that, we seek the involvement and support that Harvard Hillel's many friends can commit toward this vital work. Since Harvard Hillel’s inception, its directors and lead-chaplains have influenced countless lives and have become integral in the life and landscape of Harvard. 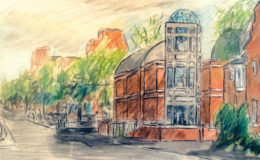 Harvard Hillel’s collaborative and multi-denominational rabbinic staff fosters many varieties of strong Jewish identity, modeling Jewish pluralism and shared purpose for a diverse community. 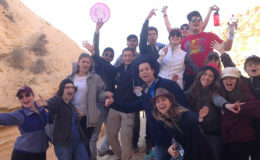 Students regard Harvard Hillel’s Student Activities Director and Director of Israel and Campus Engagement as essential supporters and guides in their lives at Harvard. 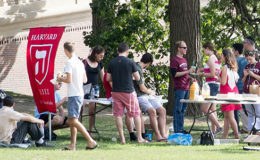 For our respective Harvard undergraduates, Harvard Hillel has been an integral part of their Harvard experience. We learn from our kids that there are so many gateways to Jewish life at Harvard today, thanks to Harvard Hillel.